On Apr 22, 2011 UEMLAND closed at resistant RM2.78 which is MA20 / MA50 days. If able break up this level, it will retest RM3.02 level or historical high RM3.30 level. 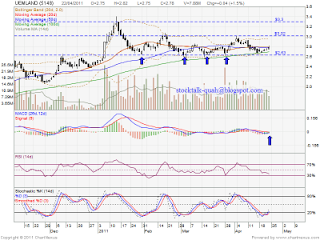 However, If retrace down, it might retest RM2.69 which is MA100 support level. 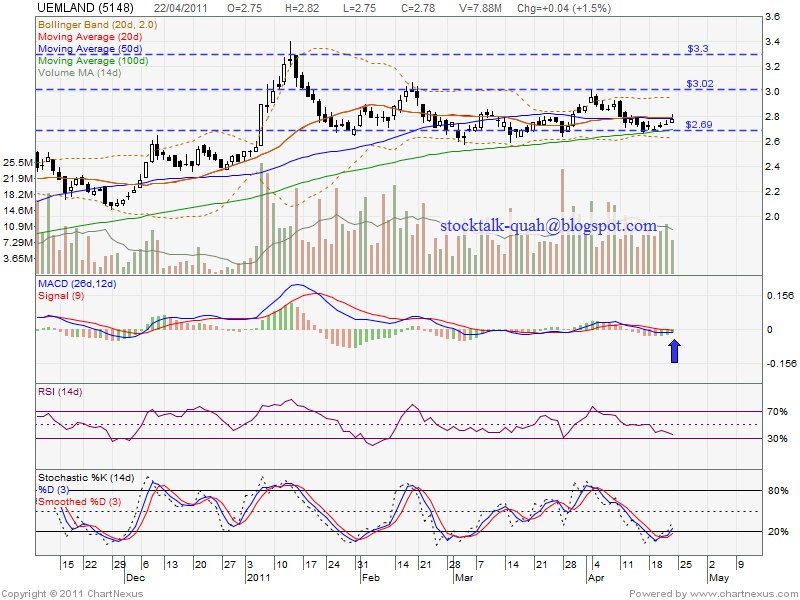 RM2.63 is strong support level, everytime touch RM2.63 level, it will rebound. Stochastic %K already trigger a buy call. Most probably MACD bullish crossoover will be formed soon. Let watch closely for confirmation.